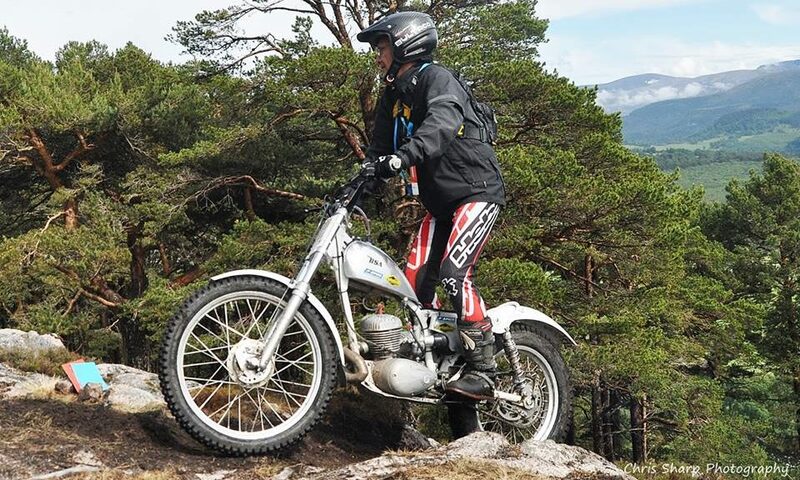 It is with great sadness that I have to report the death of club member Robert ‘Bob’ Kling, formerly of Highland Locksmiths, Inverness who passed away peacefully following an accident earlier this week on his Beta at Torvean Quarry during a private practicing session. Bob was a likeable character and set up his locksmiths business with his wife in 1985, retiring and selling out to MacGregor Industrial Supplies in 2013. The committee and directors of Inverness & District Motor Cycle Club Ltd send their sincere condolences to the Kling family at this difficult time. Bob’s funeral arrangements are: 13.45 at Inverness Crematorium, Kilvean Road, Inverness, IV3 8JN on Wednesday 27th February. John Moffat IDMCC Ltd Company Secretary. The 2019 Club Championship kicks off on Sunday, March 3rd at Alvie Estate. Please note that if you want to score club championship points you must hold an SACU Trials Registration Card issued by virtue of your membership of IDMCC. This will be checked when you sign on. The club of issue is directly below your name on the front of the Trials Registration Card. One Event licences are available at the cost of £6.00 but will not earn you championship points. It is better value if you get an SACU Trials Registration Card, lasts until 30th January 2020 at the cost of £12! 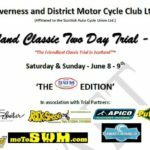 The trial is an Open To Scotland permitted event, so members of any SACU club are most welcome but they will not be credited with IDMCC championship points. Please have the correct entry fee with you and arrive on time for the briefing and start. Please note that Club Trials start at 10.30 sharp, with signing on from 9.00 am to 10.15 am. Latecomers may not be able to enter as entries will be closed at 10.15 am. 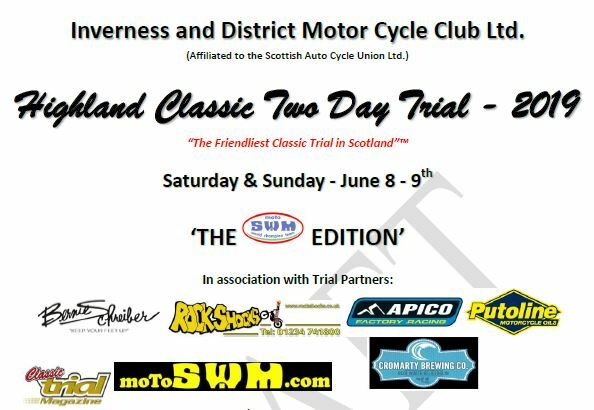 The club have announced to the trials world, our Trial Partners for our prestigeous event, The Highland Classic Two Day Trial 2019. 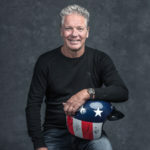 Guest of Honour is 1979 World Trials Champion, Bernie Schreiber and he will now be joined by SWM team mate, 1981 World Trials Champion, Gilles Burgat, both previous winners of the Scottish Six Days Trial, Gilles in 1981 and Bernie in 1982. 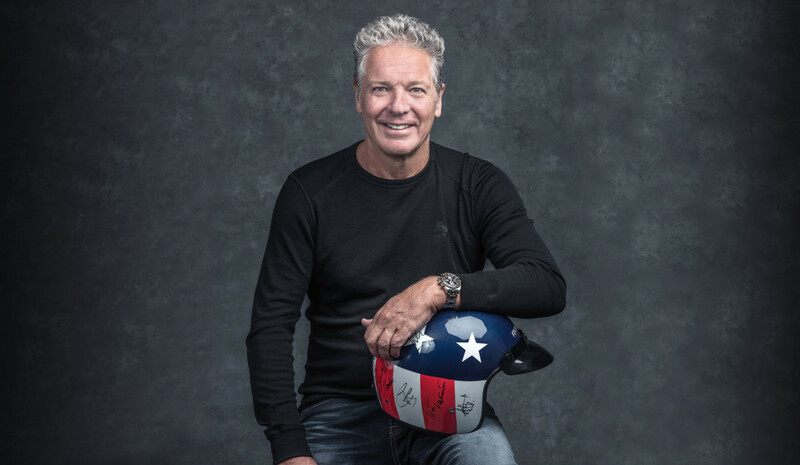 They are also in company with previous guest of honour, three times World Trials Champion, Yrjo Vesterinen who also won the SSDT in 1980. Three former World Trials Champions and SSDT winners at one event, hosted by the Inverness & District MCC Ltd.
Apico Factory-Racing: Gary MacDonald; Tim Britton; Robin Luscombe. 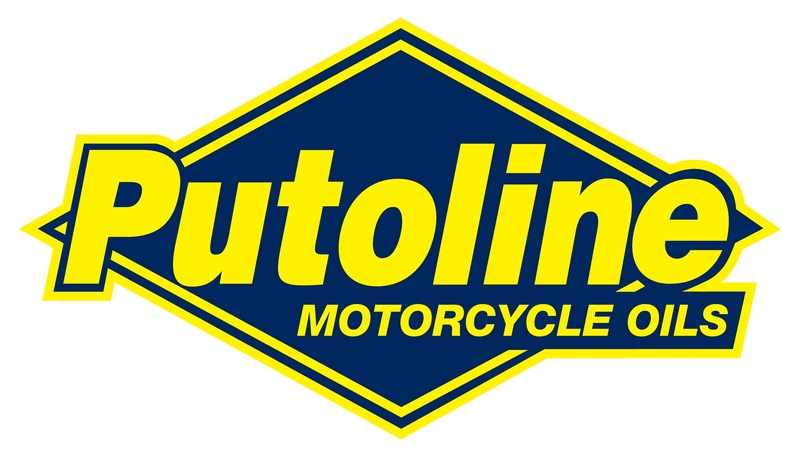 Putoline Lubricants UK: Yrjo Vesterinen; Nick Jefferies; John Hayden. Classic Trial Magazine: Nick Shield; Phil Disney; Ian Peberdy. 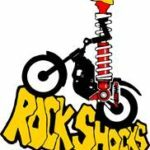 Rockshocks: Gary Fleckney; Ben Butterworth; Jack Butterworth. 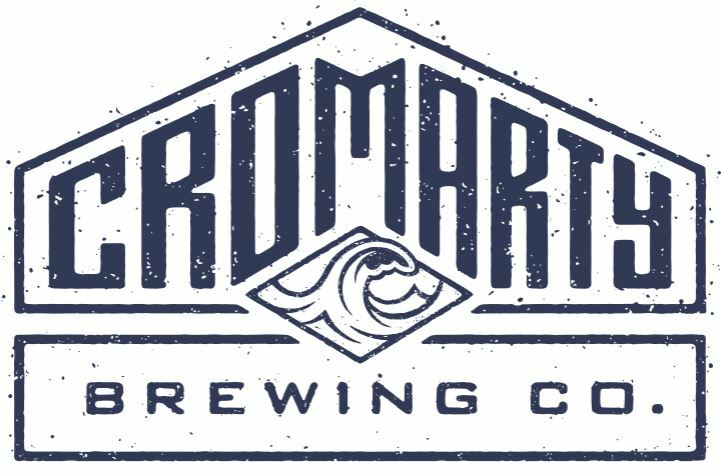 Cromarty Brewing Co: Mark Whitham; James Reid; Roger Holden. 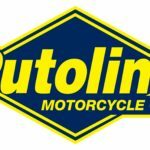 MotoSWM.com: Martin Matthews; Graham Wignall; Rob Poulton. 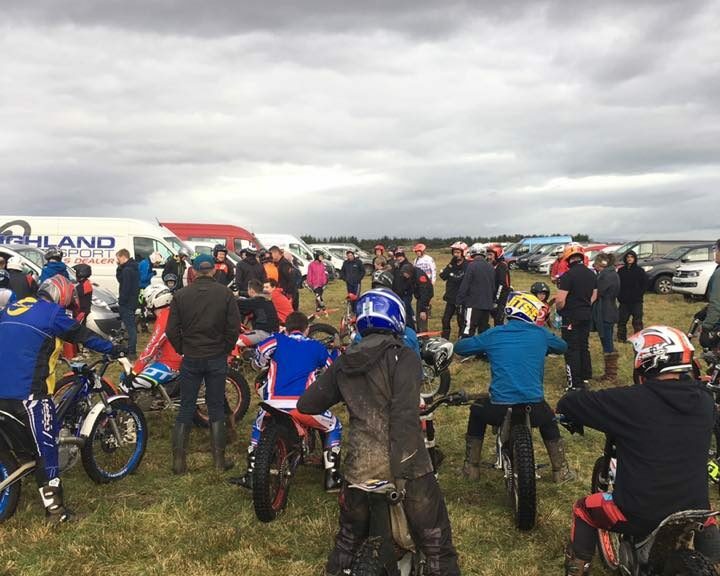 The Highland Classic 2 Day Trial 2019 entries were opened at midnight on Friday 1st February and closed almost 24 hours later! A staggering 228 entry forms were received by our Entries Secretary by the Sunday, making the event oversubscribed by 85 entrants for the 160 available spaces. Quite a few IDMCC members secured an entry, but this was only achievable by hand delivering the entry form to the Entries Secretary on the Friday or Saturday morning, such was the demand. Hand deliveries were received from riders as far away as the Scottish Borders! This now establishes the Highland Classic as the main trial that the IDMCC promote and produces the largest amount of income to the club, money that is available for other club promotions. 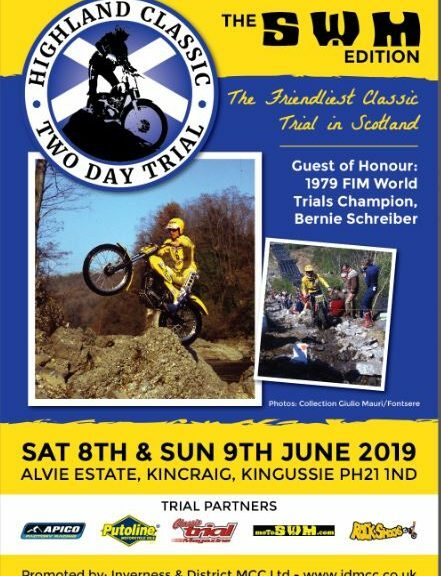 Entry Form and Regulations for the 2019 Highland Classic Two Day Trial are available below. 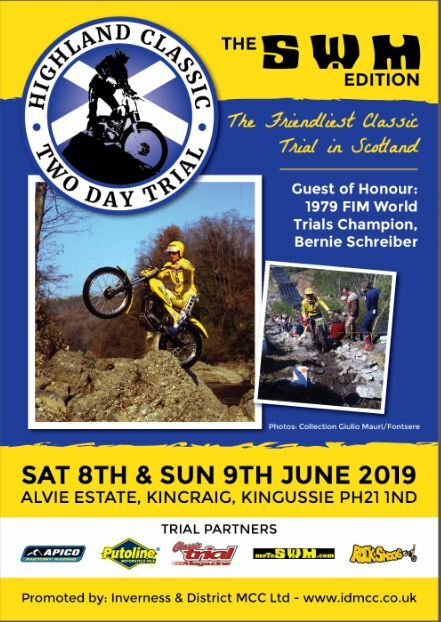 This year our Trials Partners are: Apico Factory-Racing; Putoline Oils; Rockshocks; MotoSWM UK; Classic Trial Magazine and Cromarty Brewing Co.
We are indebted to these companies for their support and products to help make this trial one to remember. The following are a list of members who will be leading a group to set out each event. 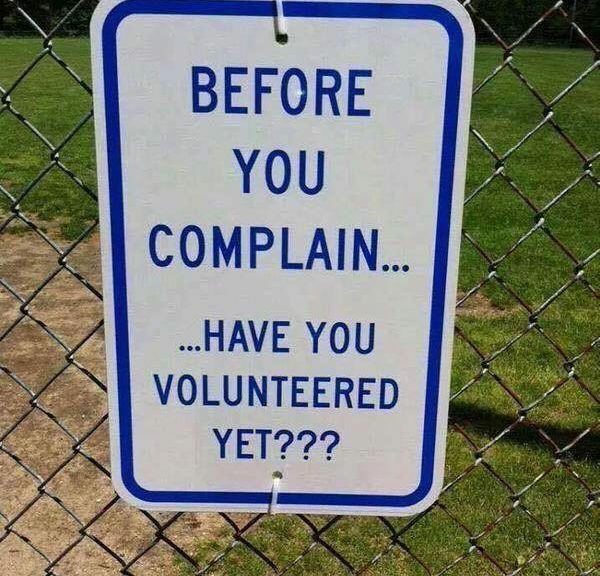 If you want to pick what event you are assisting in setting out get in touch with a member of the committee soon, otherwise events will be picked on your behalf. If leaders are to change you will be notified in advance. 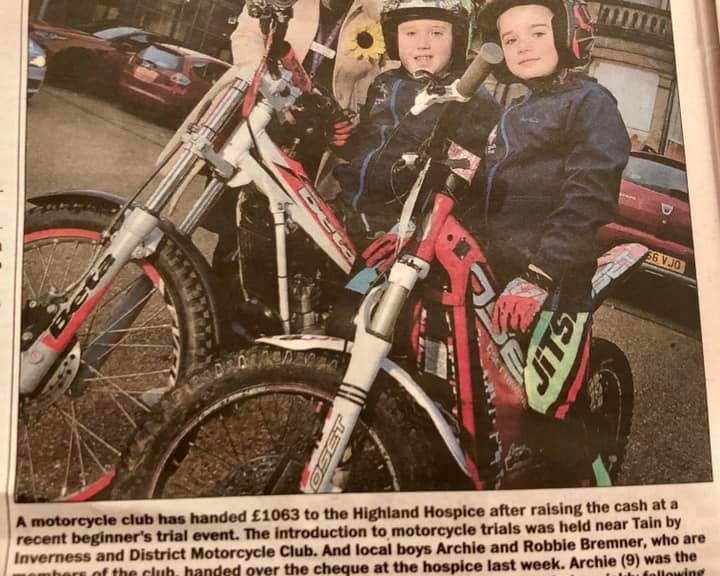 The recent charitable donation by the club to the Highland Hospice, Inverness was reported in the local press this week. We donated £1.63 in total. 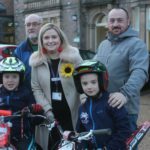 Junior members on hand for the presentation were Archie and Robbie Bremner, whose father Leigh started riding with the club after a number of years racing BMX. 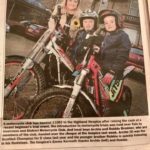 Their Grandfather is former IDMCC Chairman, Peter Bremner who is also now Chairman of the Edinburgh & District Motor Club, organisers of the SSDT which Peter has been associated with since 1972. 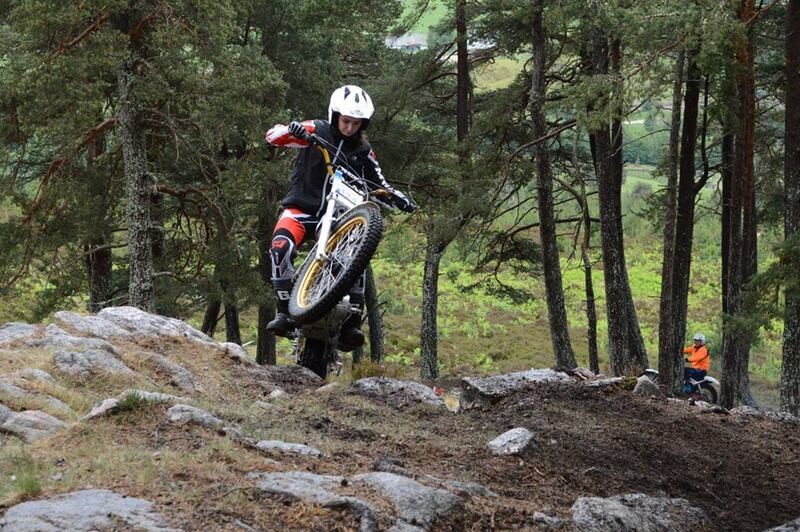 Our annual Highland Classic Two Day has had a refresh by trials rider Joe Baker of Joe Baker Design in Devon. 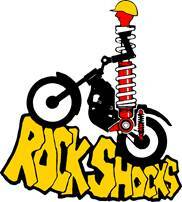 The new logo captures the spirit of the event being for Pre’65 and Twinshock machines and is the successor to the old Highland Two Day Trial which began in 1950 by the Highland Car & Motor Cycle Club which split into two and eventually the loss of the motor cycle element. In the 1970s the Inverness & District was formed and Malcolm Smith, a founder life member was keen to start a Pre’65 event which has grown in stature year on year since 2003. 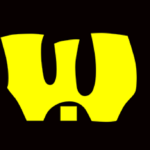 The new logo will be used in all promotional material from now on. Entry forms will be available from 00:00 on 1st February 2019 with entries limited to 160 plus guest riders. 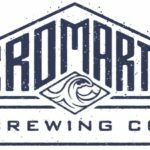 It will be on a first receipt basis with no ballot and a reserves list made up from those who are initially unsuccessful. Postal, courier or delivered entries only, there will be no online entries or entries by electronic means. 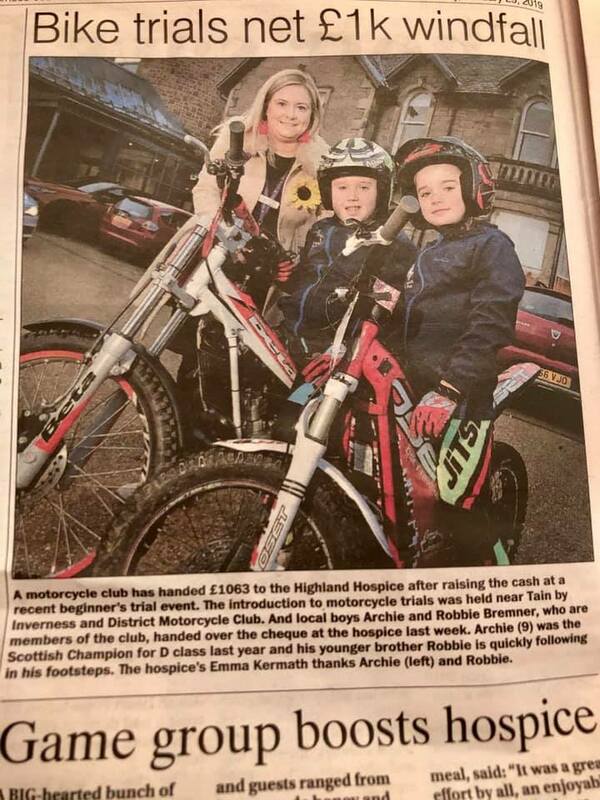 The Highland Hospice increased their funds by £1,063 recently, thanks to the IDMCC who decided to donate the proceeds of their Introduction To Trials practice at Tain on 30th December. 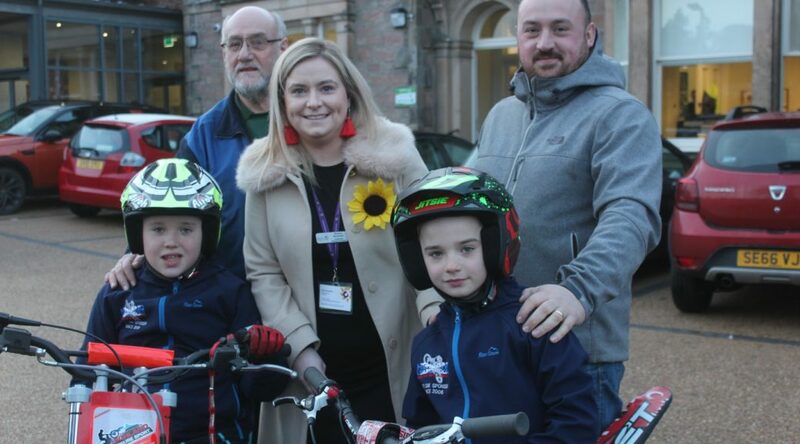 The club covered the cost of the event insurance and one event licences at the Tain event. 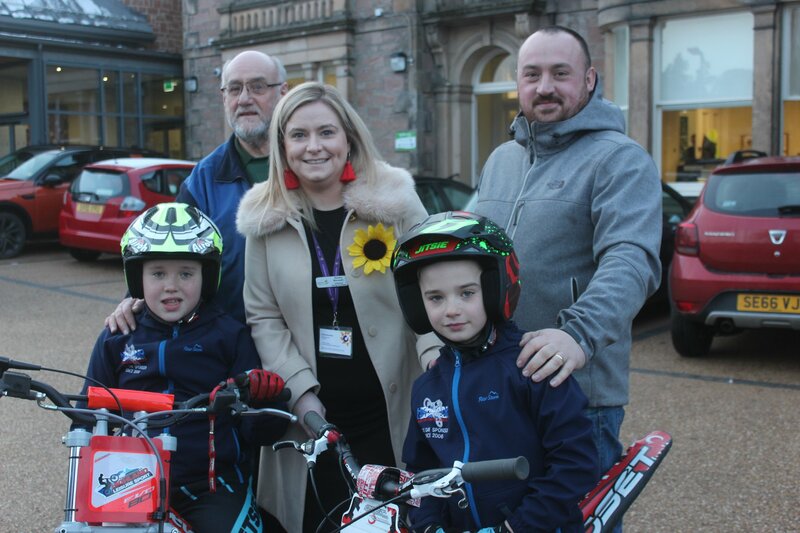 On hand to present the cheque to the Highland Hospice was the Bremner family, Peter who is a life member, Leigh who started riding trials in the club and Archie & Robbie, who are current riders. The Highland Hospice were delighted with our contribution and placed details in their monthly newsletter and website. 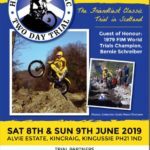 The ever popular Highland Classic 2 Day Trial will be held on 8/9 June 2019. The entry form and regulations will be available as a downloadable pdf on 1st February at 00:00.